Guy Julier is Professor of Design Leadership at Aalto University, Helsinki. Until March 2018 he was the University of Brighton/Victoria & Albert Museum Principal Research Fellow in Contemporary Design and Professor of Design Culture. He is also Visiting Professor of Design Studies at the University of Southern Denmark in Kolding. He has been Honorary Professor at the Glasgow School Art and Visiting Fellow at the University of Otago, New Zealand. He is an editorial board member of the Journal of Visual Culture and Design and Culture. While he was Professor of Design at Leeds Metropolitan University (2001-10), Guy Julier founded and directed DesignLeeds, a cross-disciplinary research and consultancy unit specializing in social design. He was also a co-director of the community interest company, LeedsLoveItShareIt, formed to develop and prototype new approaches to urban regeneration. He has collaborated with the thinktank, Policy Connect in developing its UK parliamentary enquiry into design for public services. Having studied the History of Design at the Royal College of Art in the mid-1980s, Guy Julier specialised in contemporary Spanish design, later working as a consultant to London’s Design Museum and other cultural institutions. In the early 1990s he researched design and craft in the political and economic transitions of Hungary. His PhD was awarded in 2000. It explored design and transition in Spain and Hungary, set against broader global shifts of the time. At the same time, he wrote his book The Culture of Design which ran to a 2nd revised edition in 2008 and a third, published in 2014. It has also been translated into Chinese, Korean, Russian and Spanish. This book instigated Design Culture as a field of study and degree courses in it have subsequently been established in Denmark, the Netherlands and the UK. From the mid-2000s, while continuing research in the sociology and political economy of contemporary design, Guy Julier has also turned his attention to design activism and social design. 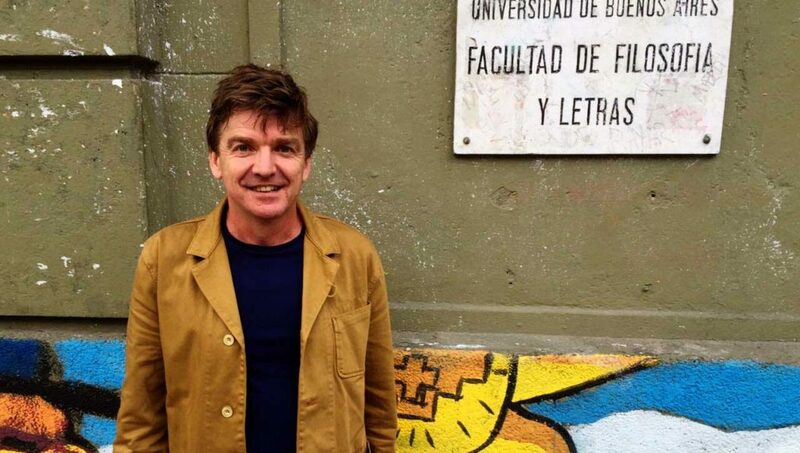 He directed the 2009 Leeds Festival of Design Activism and, in association with the Fundació Història del Disseny, convened the 2011 Design History Conference in Barcelona ‘Design Activism and Social Change’, attended by 200 delegates from 34 countries. In 2013 he Guest Edited a special issue of Design and Culture on design activism. Within the Victoria & Albert Museum he creates events that open the museum onto questions of the critical role of design in contemporary society. His latest book, Economies of Design was published in 2017.